Discovery Bay is located at the west side of Waikiki. It is a two tower condominium which contains 42 floors. 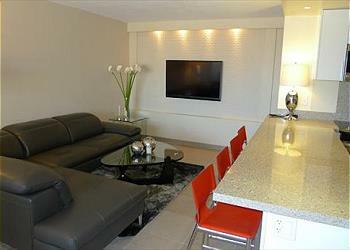 There is a pool, Jacuzzi, sun deck, gym and sauna in the building for the resident to use. The building is secured and security is in the building. Across Discovery Bay there is Hilton Hawaiian Village and Fort DeRussy, a park reserved by the US military but open to public. Good access to many restaurants near the condominium including Red Lobster, Outback Steak, and Benihana. 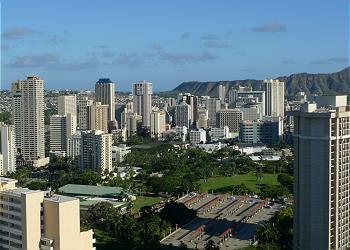 It is also a walkable distance to Ala Moana Center and so as to the main strip of Waikiki.